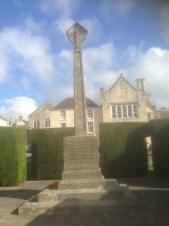 Painswick War Memorial is located on the Frederick Gyde Memorial Land by St Mary's Church. 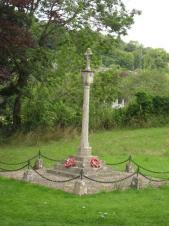 Erected in proud and loving memory of the men of Painswick who gave their lives in the Great War MCMXIV - XVIII. 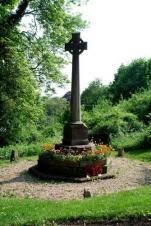 THE WAYSIDE CROSS; lists the names of those men who were killed and had been living in the village at the time they went to war.